After rave reviews and a maximum five stars in Dutch quality newspapers for our first CD, “Cancionero de los Vientos”, La Tricotea can now delight Dutch audiences on a concert tour in October, 2014 through some of the most picturesque towns in Holland. Two different programs in three different cities are on the menu, including our previously commissioned composition from Jonathan Impett, as well as his latest composition, which will have its premiere in the historical center of Zaandam in the ‘Nieuwe Huys Concerten’ series on October 17th. Impett’s new piece combines modern electronic techniques he himself developed, with 16th-century Spanish music, inviting the members of the ensemble to improvise on the motives that spontaneously occur through the converging musical currents, making for an exciting audio experience you might call an ‘earopener’. And his “Memoria Colorata” refers to Machaut’s Messe de Notre Dame, which, by the way, will also be performed in the original version, albeit adapted for the unusual combination of wind instruments of La Tricotea. Perotinus’ “Viderunt Omnes” as well as Machaut’s “Hoquetus David” and Ciconia’s “O Virum Omnimoda” are on the program, making this concert truly a very early music experience. A live recording will be made of the event. Buxus, Brass and Bytes is the name of that program, and it is exactly that: oboes and bassoon made of boxwood, modern saxophones of glistening brass, and the binary world of bits and bytes. Music from ancient faded manuscripts together with a score where the ink is still wet. 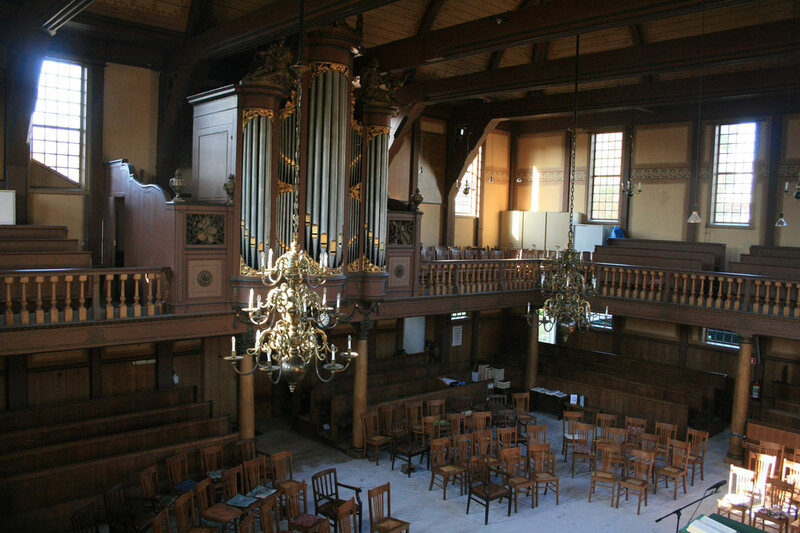 And if Bach is more to your liking, we play a baroque program with works of the great master himself, full choir, and “cori spezzati” compositions in one the most impressive churches Holland has to offer, the “Grote of Sint-Maartenskerk” in the mesmerizing city of Zaltbommel, as well as in the charmingly intimate “St. Lambertuskerk” in Strijen, nestled in the typically Dutch landscape of wide open country with its famous “Dutch skies” we know so well from those magnificent 17th-century landscape painters. In short, beautiful music in beautiful places… we look forward to seeing you there!